This shift means we have to push a whole lot more on challenging established measurements and metrics – question if they are still valuable or just ‘simply’ established and have never been questioned in a way to overhaul the whole process. Everywhere we look within innovation systems, there are significant legacies in place. We need to do a better job at measuring knowledge flows – it is the increasing emphasis and use of technology that is allowing us to challenge the old measurement paradigms. We still love to count machinery use, transactions, production of widgets, with an engrained efficiency mindset. Sadly it is not as effective, nor relevant, to the world today, actually most of these are just statistics that don’t drive us forward, they constantly make us look back. It is not ‘forward accounting’ for the knowledge that is building, to underlie new creation and valuing the way this is developed and diffused in the future. Are we matching context, aligning innovation activities closely to strategic company needs? Are we actively seeking to match expectations and capabilities to deliver on the innovation that will lead to new forms of company value? Are we searching for ‘intelligent’ indicators, where those initiatives shift the ground and advance on previously intractable issues? Do we know what are the true dynamics within innovation, what is either static or just simply repetitive and needs more constant monitoring, more likely through technology than human involvement? 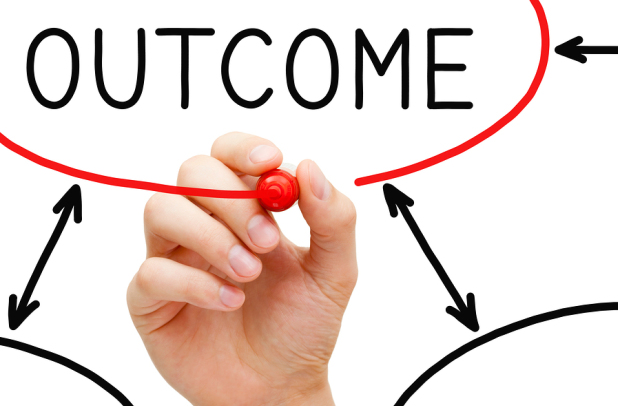 We move constantly towards the era of outcome-based services. The ultimate outcome from innovation that understands the real customers need and then understood, iterated on a constant basis, translating what we learn and building with increasing speed and scale towards the lasting solution – and we all get paid or rewarded far more on the value of the result from successful ultimate outcomes judged by focusing only on the result. This entry was posted in Uncategorized and tagged Connecting innovation activties, effective outcomes from innovation, innovation ecosystems, innovation outcomes, Innovation Structure, intellectual capital, networked innovation, platforms for innovation, relationships and networks, searching for new business outcomes. Bookmark the permalink.